Just got an absolutely incredible deal on this machine at $525. I was not planning on buying this or any other off the shelf machine since I am finalizing two of my own designs, but I couldn't pass on this deal. Those are to come...I picked it up last night at 8:30pm, got it put together, bed leveled, and did the first 20 minutes of the left extruder test print that was on the SD card. Overall very impressed with how simple it was to get started....never even plugged in the PC. 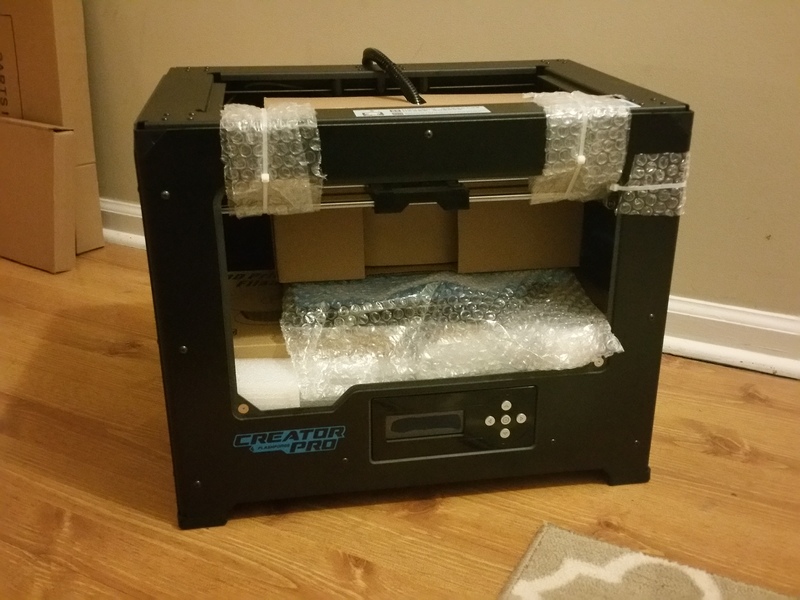 You got a hell of a deal on the one of the best printers on the market. I own a Creator Pro and a Creator Dual (Woody). As for my Creator Pro, I haven't leveled the bed since last March and every one of my prints has been outstanding. Combine that with S3D and you'll start to get cocky. Here's my latest print today (ABS). Did my best to focus on a white part. Thanks. So far I am extremely impressed with the machine (having S3D already probably doesn't hurt those results). The one thing I really don't like is the build surface since it is nearly impossible to remove parts without a pair of pliers or extreme force. I have a boroscilicate plate on the way though, so that should fix the only issue I have with it. Only other slight negative is that I'm not used to worrying about placement of multiple parts on the build platform. You run out of space much quicker on a 6" x 9" rectangle than an 10.5" circle. No comparison pictures yet, but so far there is one thing that I like the cartesian printer for over delta (by leaps and bounds)....side face smoothness. I never really thought it was a problem with the Rostock Max until I used this machine. There is no sign of any waviness in the side of a straight wall like there is with the delta machines. It was pretty mind blowing to me honestly. I forgot to mention that I print on 1/8" thick boro glass. McMaster has these 9x6 plate's (http://www.mcmaster.com/#8476k74/=yjqjl1). I let my parts cool down a bit before trying to pop them off of the glass. You'll also need a shim for the glass. 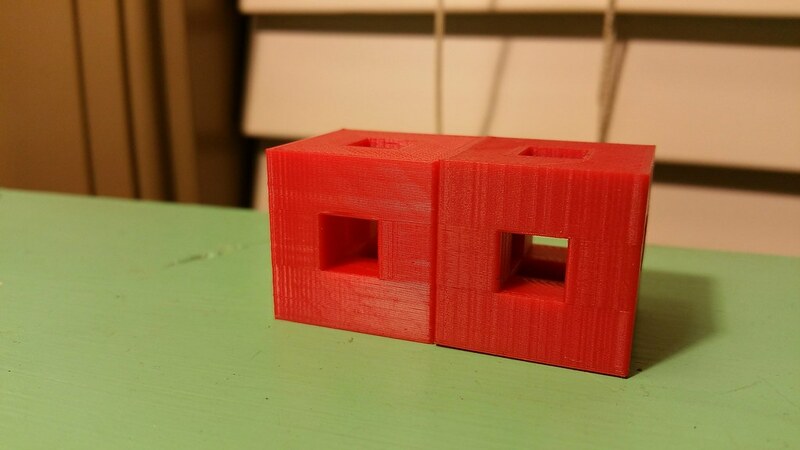 3mm for 1/8" glass (https://www.thingiverse.com/thing:515065). Wish I had looked at McMaster before I went ahead and bought this on Amazon. I could have saved a small amount of money (McMaster never fails to charge me $10 for shipping of pretty much anything). And I'm obviously not at any shortage of printers at this point that I couldn't make my own printed parts...oh well. I've never printed on PET tape before, so that will be fun to try out at least. Live and learn. I've been there too. I'm also curious about a few of your S3D settings as well if you don't mind since this is my first non-bowden extrusion machine. My current setting that I have had decent results with thus far but need tweaking. They are also VASTLY different than my Rostock Max in pretty much every way possible. Also random comment...it's crazy how much my desk shakes with the added moving mass of a dual direct extrusion cartesian machine compared to the single bowden extrusion delta machine. One of the machines I'm designing is a dual bowden extrusion cartesian machine, so it will be interesting to see how that compares. Here are my default profiles for ABS and PLA. I usually get started there and tweak a few things depending on the part. Bed prep: Usually just hairspray. I rarely use purple stick elmers unless is a very big part. Most of the time I print PLA. As for ABS, The enclosed build chamber really works well in an air-conditioned office. Thanks. For ABS it looks like you are using very close to the stock S3D profile for the FFCP with the exception of S3D's 60mm/s default speed and your top/bottom layer and # of perimeters settings. Yup. The S3D guys do a pretty good job at coming up with default profiles. I always start there first. Keep an eye on filament diameter. Not sure what I have set on my profiles. I print with Filament Central white most often and that stuff is more like 1.73-1.75mm. 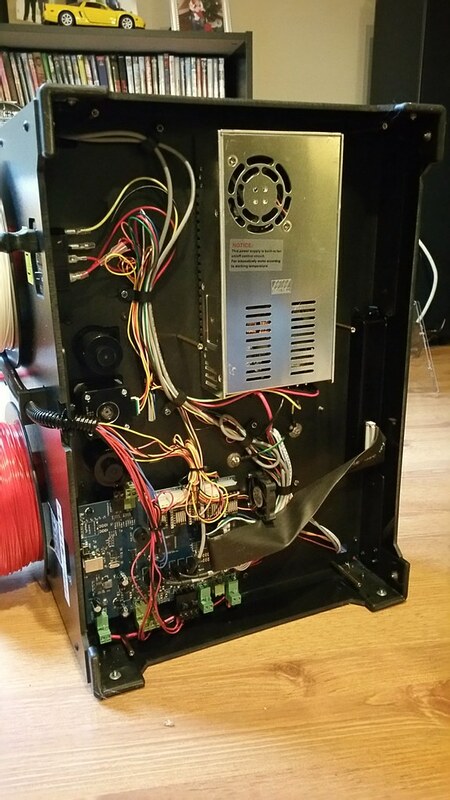 Just took the bottom off this machine last night to start wiring my layer fan so that I can print PLA "the right way" and thought I would share a picture. I'm pretty impressed with the quality of this machine overall. Name brand power supply (Meanwell NES-350-24), heatsinked A4988 stepper drivers with a fan pointed directly at them, and the controller board that has some expansion options ready to go like the layer fan I am adding. I wired up a layer fan to mine too (turbo fan option). I think I used the fan once and took it off. Anyway, I soldered in a JST connector so I can easily install or remove it. Good idea. That is how I have my Rostock Max wired, but I didn't even think of doing the same on the FFCP for some reason. Just got done with two 18 hour prints that used every bit of the build area. 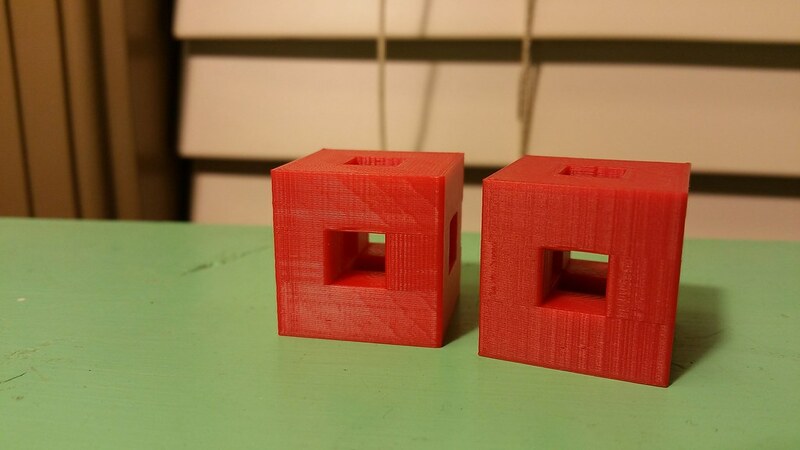 These are structural parts (70% infill) with 0.2mm layers made from the supplied red ABS. Nice to be able to use the whole build area without worrying about certain sections of the build plate. I'm hoping my upgrade to longer arms (increase the angle to the horizontal of the arms at the edges between towers) will allow me to do the same more frequently on the Rostock Max. Also because Jimustanguitar asked for comparison pictures earlier and I haven't provided them yet, here you go. Biggest difference to me is the vertical banding that is present with the Rostock Max. 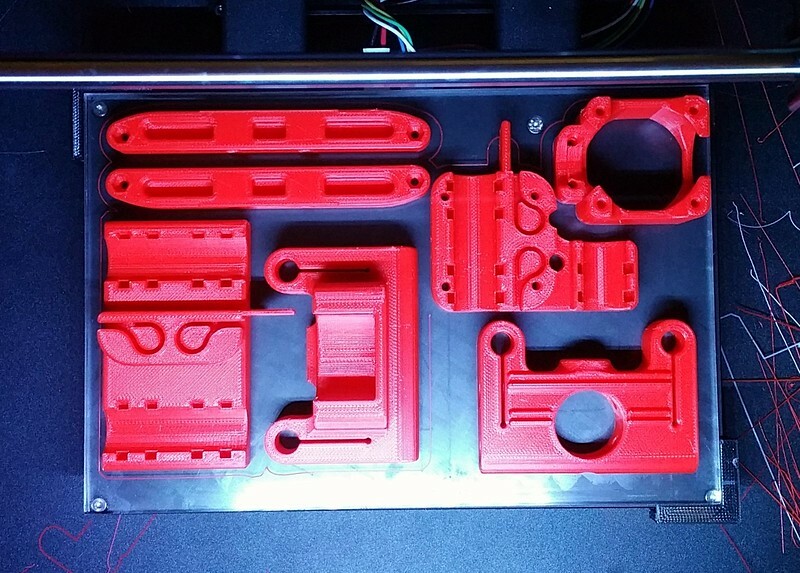 Different brands of red ABS, but all other settings are equal (0.2mm layers, 0.45mm extrusion width, 2 perimeters, 40mm/s default speed, etc). Seriously considering offloading my Rostock Max V2 to buy one of these babies. I just was never able to use the whole print bed. Still drives me nuts. EL Cuajinais wrote: Seriously considering offloading my Rostock Max V2 to buy one of these babies. I just was never able to use the whole print bed. Still drives me nuts. That has a 8.9 X 5.8 X 5.9 in build volume. Are you not able to match or exceed that with the Rostock? I very much doubt I can match it. And if I were to try, I'd have to try many times to use precisely the area of the bed less likely to fail, cross fingers, take a deep breath, and probably kill a chicken on top of my printer. 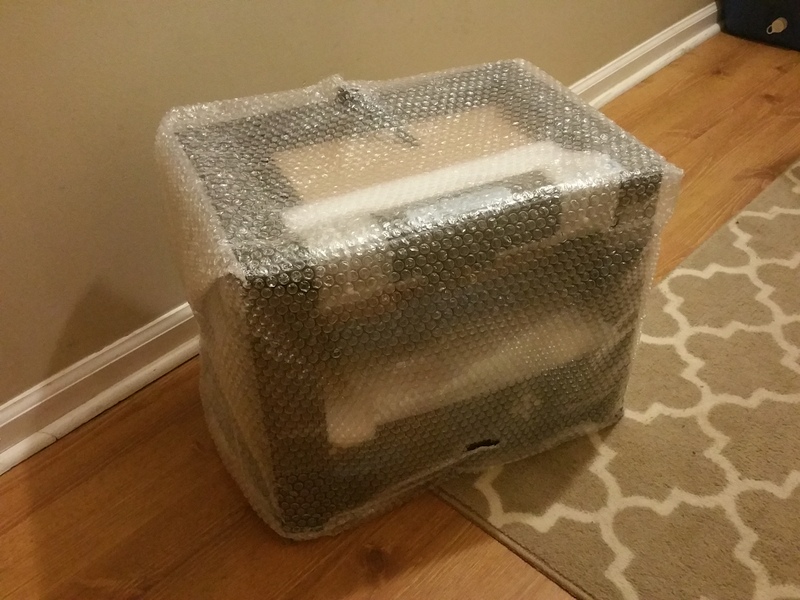 That is not what I bargained for when I got my supposed 11" diameter print volume RMAXV2. I need to look into Rolle's the new calibration process. I read through the whole 21 page thread yesterday but am left scratching my head. It looks like McHackney has not yet released the Mac version and the FSR installation guide is at another webpage. I did print the caliper holder today to have it handy in case I wast to try the html version. But honestly I probably will not try it for now since I was just barely able to print the largish thing I wanted and I don't want to go down a 1 month tinkering hole. I just don't have the time. 0110-m-p wrote: Just got an absolutely incredible deal on this machine at $525. Is the deal still available? If you don't mind sharing where you purchased, I'm interested in buying a Pro as well. I always assumed he purchased it from someone slightly used. 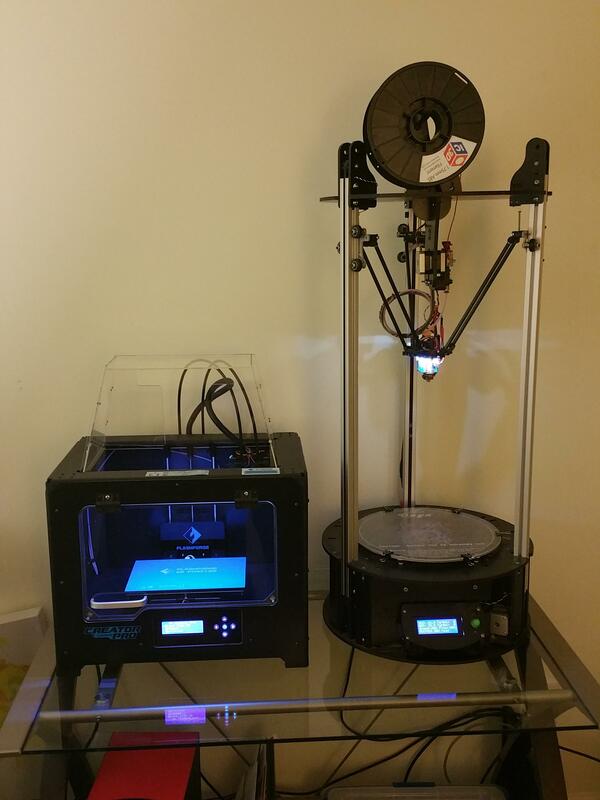 Someone maybe who thought 3D printing was just pressing a button. Or someone who didn't want to put in the time to learn design software and so got tired of printing trinkets. If there is an online store offering it at that price I'd buy one in a heartbeat as well. 1) The $525 deal I got on this machine was from someone on Craigslist who buys auctioned off pallets of return items from big stores (Amazon and the like) who don't want to deal with returning items to inventory or trashing them. Sometimes they get good stuff, sometimes they get bad. This was an item that was good, but they knew nothing about so couldn't test it. I took a risk buying it since it was untested, but the risk payed off since it was basically brand new in the box with all accessories. 2) The FFCP has been a great machine so far and is less finicky than the Rostock Max when first getting into 3D printing. However, if I were to get rid of one of my machines, it would NOT be the Rostock Max. There are many things that I have printed on the Rostock Max that I would never be able to fit in the FFCP. Build volume of the FFCP is the real limitation. It was a big learning experience and took a lot of time, but I can use every bit of the bed and am hoping my next upgrade to longer arms will improve it even more. In my opinion, you don't need auto-calibration, FSR's, probes, or any fancy calibration process to get these printers to print well as long as it was built square. Two things I think are missing (or were when I built mine 2 years ago) from the assembly tool list is a digital angle gauge and a dial indicator w/ mount. Use the digital angle finder to get the towers square then spend an few hours with the dial indicator and get the firmware/EEPROM calibrated. 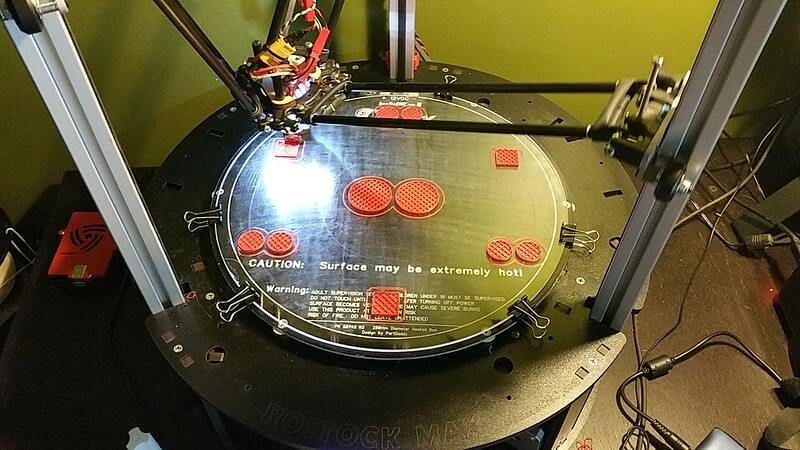 3) To me, the nicest thing about the FFCP versus the Rostock Max is the surface finish. I'm thinking a combination of 32-bit controller board, removing stepper dampers, and installing a geared or MK8 based extruder will be the ticket. 4) Out of the box, the FFCP wasn't this good. 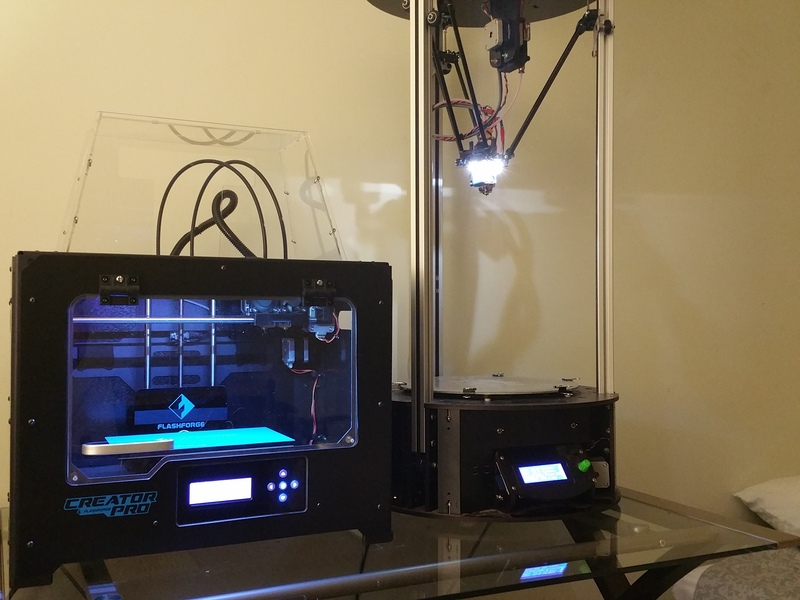 I have upgraded the bed by adding a piece of boroscilicate glass and printed a number of other items that have improved the machine immensly (door catches to keep it closed, guide tube mounts for filament feed, etc). 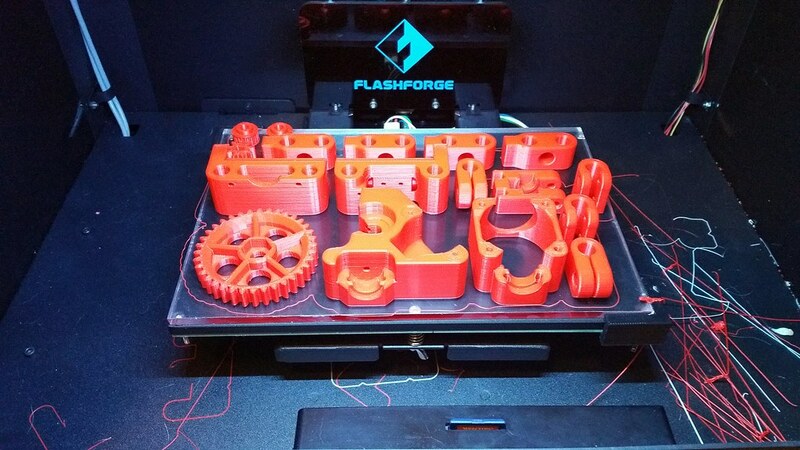 Also, this machine won't print PLA well without a layer fan. 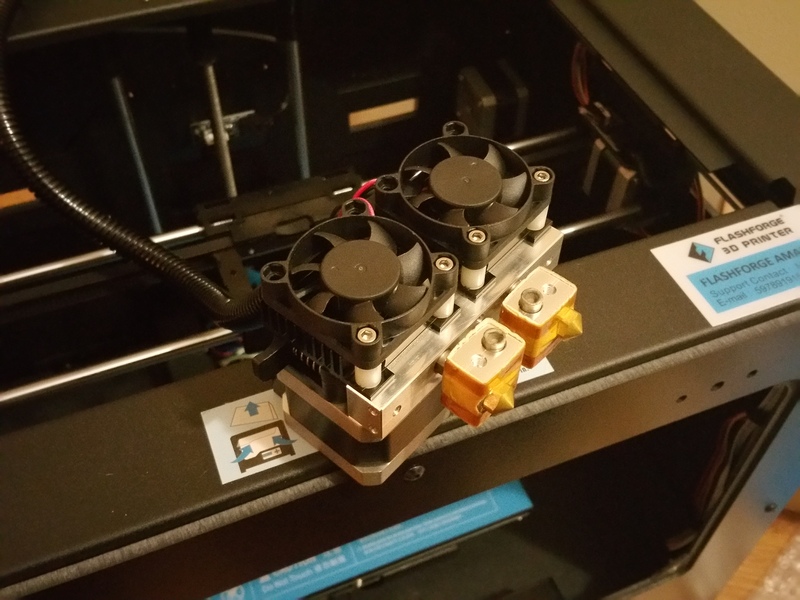 To add a layer fan you have to buy a 24V fan, print a layer fan mount, and wire it to the controller board. 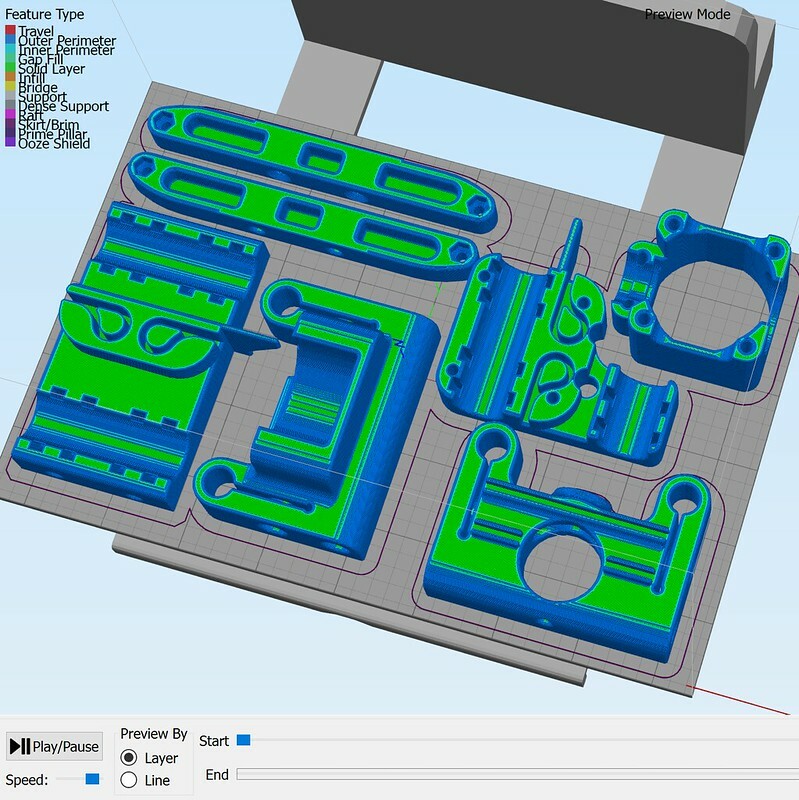 I have also been using Simplify3D since day 1 with this machine and since it uses a different tool path format (.x3g), many slicers won't work with it. So tack on an extra $150 to the price tag if you don't have S3D already. I don't want to give anyone the impression that I opened up the box to the FFCP and just started printing perfect parts. I agree on this above statement. 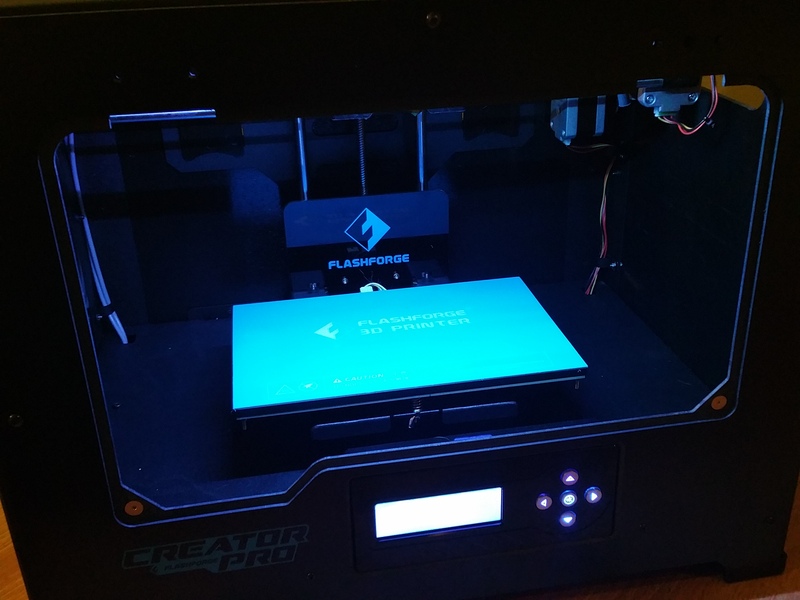 the davinci is the only printer I have seen print great out of the box. and even then, a hand calibration was necessary to get it where it actually was to my expectation. they have everything locked down tight, and are spending a huge amount of resources keeping the printer closed source. any printer you buy needs a good slicer and someone who is willing to invest the time into it and whatever slicing engine you see fit to use. Finally! I see a picture of someone using the entire bed! I had only seen one picture before this one and it was a seashell-shaped speaker housing. I like this one better since it is a square and it nearly touches the limits on all corners. This is exactly what I’ve been wanting to see. So apparently it’s possible. I love the picture with the many objects spread around the perimeter. 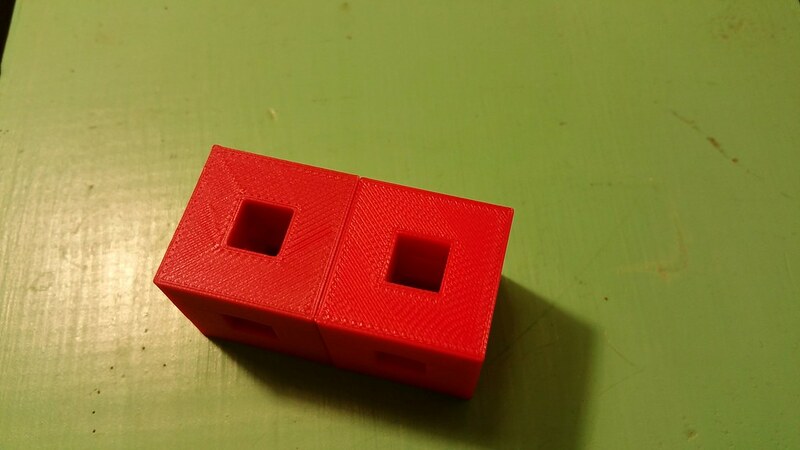 Have you ever tried printing fewer parts, but sequentially? That is, printing one part completely before the printer moves on to print the next? I feel that is huge delta advantage that I’ve not heard mentioned. Having the hardware holding the gantry more “out of the way” than in a cartesian printer opens up more options for using as an “assembly line” printer. 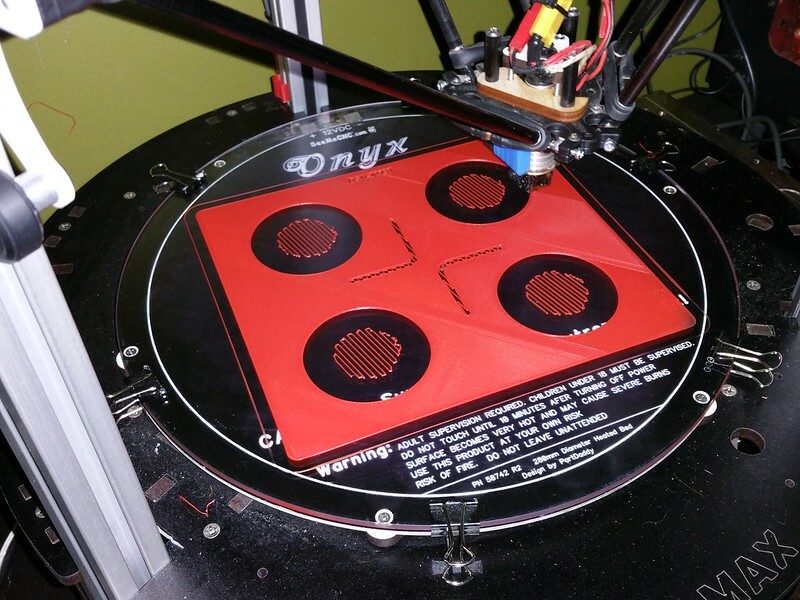 (The purpose is to reduce the quantity of incomplete parts when the print fails). I have small product I intend to sell which I could probably print 3 (maybe more) sequentially at a time were it not for the fact that I can’t use my 11” diameter. 0110-m-p wrote: In my opinion, you don't need auto-calibration, FSR's, probes, or any fancy calibration process to get these printers to print well as long as it was built square. Two things I think are missing (or were when I built mine 2 years ago) from the assembly tool list is a digital angle gauge and a dial indicator w/ mount. Use the digital angle finder to get the towers square then spend an few hours with the dial indicator and get the firmware/EEPROM calibrated. That is the “solution” I keep hearing but so far I have never seen the method to actually square the towers. The “squaring the towers” discussions I remember are more like people discussing the tools you can use to see how square or unsquare your towers are. But how do you fix unsquare towers!? The frame is melamine and easy to break, all towers are coupled at the top so that pulling on one pulls on all the others. I even emailed the SeeMe folks and one of them confirmed all they do is slide the towers down the melamine and that’s it. No digital angle thingy or anything like that. The fact that SeeMe “fixed” a printer from one of the users here by shimming the bed is telling. Why did they not square the towers instead? I think it’s because it’s practically impossible. If you pull too much on the melamine you can break it. And what little progress you may gain when pulling and tightening is lost because the other two towers are coupled to the one you just adjusted (and so the other two towers lose alignment). And if you adjust that towers without the melamine top, they may not fit in the melamine. You may end up moving the towers a bit to get the melamine top on, throwing off your tower squaring work in the process. Think of the crazy amount of variables the bright, unpaid programmers on this forum are wrestling with to come up with a software calibration that allows users to print on the entire bed. Those are the same variables that need to be “just right” in their metal, melamine, and plastic physical forms. 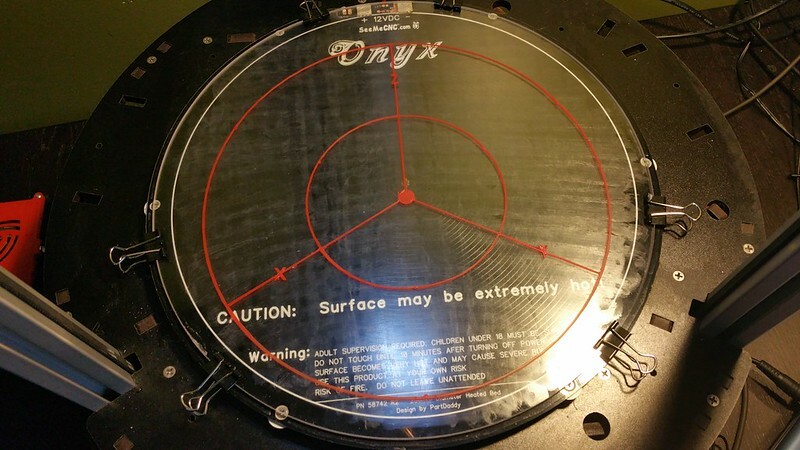 At this point I believe the simple fact is that due to a million factors, not least of which is luck, a very small population of RMAX V2 owners have printers that can print a 10.5” circle, but most of us can’t. And I still have not seen a 11” circle at this point. Why do you think the calibration threads are so popular? This is a real problem with this printer. Also note that most delta printers’ build area is a circle circumscribed by the towers’ triangle, unlike the Rostock that claims to print past the towers’ triangle. The reality is printing past the circle circumscribed by the towers is a roll of the dice for most of us.